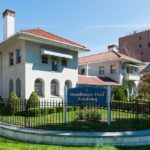 SafeStudents Online is pleased to announce that Fontbonne Hall Academy, a college preparatory school for young women, located in Brooklyn, New York, has selected SafeStudents Online to help parents keep their children safe from some of the threats commonly found on social media. Starting in fall 2017, Fontbonne Hall will purchase the SafeStudents Online program on behalf of all parents of incoming 9th grade students. Parents will be able to monitor their children’s social media activity for inappropriate or potentially dangerous posts and will receive alerts to help them take action when necessary.